Inspired by hot rods and pin-up girls, CAO Flathead is a box pressed collection that hits on all cylinders. Earn up to 176 Points Points. Inspired by hot rods and pin-up girls, CAO Flathead is a box pressed collection that hits on all cylinders. 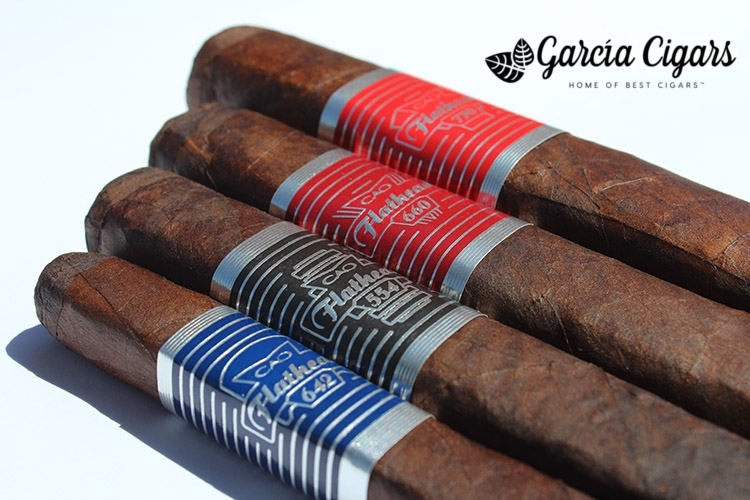 Hand-shaped to deliver a striking flat top, the cigar features a brawny Connecticut Broadleaf wrapper and a blend that’s heavy on Nicaraguan leaf. Its front marks are named for engine parts, but the tribute to muscle cars doesn’t end there. Flathead gives a nod to the muscle car engine, with a lid that’s easily removed and used as wall art. CAO Flathead is just another cigar success story. Made to capture the spirit of the roaring 70’s muscle car movement, these cigars have catchy names like Camshaft, Sparkplug and Big Block. For a taste of nostalgia try one of these power houses and be transported back to a simpler time. These are all full bodied cigars meant to kick start your taste buds. This blend drives onto the palate as smooth as a Chevy Classic V-8 with spicy, yet creamy aromas. Unlike most box-pressed cigars, this beauty was innovatively crafted to showcase a flathead. Cigar aficionados can purchase this superior, #3 ranked cigar in the world, in five unique vitolas.